A man connected to an armed robbery in a Missouri real estate office has been apprehended, police say. 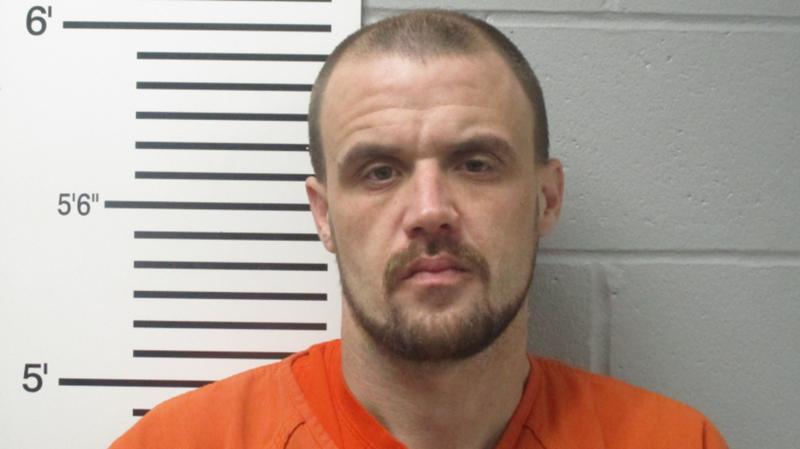 Kevin McCormick, 33, has been charged with two felony counts of first-degree robbery and armed criminal action after police found him near Wayman Realty in Kirksville, Missouri, with $489 in cash and a large knife, though he doesn’t match the description of either of the suspects who reportedly entered the office. According to local press, officers responded to reports of an armed robbery on Wayman Realty, a small real estate office owned by Frank Wayman, around 4:15 p.m. on Thursday, Jan. 10. Wayman said that he was inside working when a man came in with a gas can, saying that his car was out of gas and asking to use the bathroom. After coming out of the bathroom, the man allegedly put a gun to Wayman’s head while asking for the combination of the safe. A second man held a large machete against Wayman’s head as the two robbers made Wayman unlock the safe and demanded that a colleague, who had come in during the robbery, surrender his wallet. While Wayman eventually managed to get away unscathed, the robbers made off with more than $3,000 in cash and personal items like gold coins. The police were able to locate and arrest McCormick after local residents reported seeing people drop money and documents with Wayman’s name on them on the street. Others noted the car’s license plate number and gave it in to the police. The police have not specified how McCormick was involved or came to possess the cash from the robbers present at the scene of the crime. McCormick is currently being held at the Lincoln County Jail on $150,000 cash-only bond. The investigation of the robbery and hunt for other suspects are still ongoing. Here are some ways agents and other real estate professionals can protect themselves while working.